In 2009, at China’s version of Davos, the Bo’ao Forum, a Chinese scholar advocated for setting up a regional bank that will accelerate the development of Asian countries by closing the infrastructure gap in Asia. 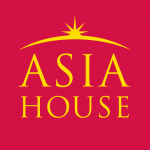 The proposed name of the bank was the Asian Infrastructure Investment Bank, and, eight years later, its fate would be tied not only to China and Asia, but also to Europe, Africa, Australia and even the Americas. The six continents are now encompassed by the AIIB (Asian Infrastructure Investment Bank), which was brought to life under the leadership of Chinese President Xi Jinping, as a bank that would alleviate poverty from Asia especially through investments in infrastructure. There is an old Chinese proverb that says that “if you want to be rich, you must first build roads”, so in 2016, China, together with its new squadron of 56 AIIB countries, started the construction of nine projects. The charm of development recently attracted 13 new countries that became members of the AIIB in March 2017, with the hope that they too will reap the benefits about which the Chinese proverb speaks. AIIB may be seen as the sibling of the other giant Chinese project, the Belt and Road Initiative (BRI), as both of them were announced at the same time and they complement each other. While BRI was described as a $4 trillion project that lacks the financial consistency, the AIIB, on the other hand, has the financial firepower to support some of the projects along the countries that signed up for BRI. Jin Liqun, the President of the AIIB, seems to support the idea that the AIIB will help BRI implement its projects, but the bank shouldn’t be perceived exclusively through the lens of the Belt and Road Initiative. On a wider spectrum, the AIIB was seen, at its founding, like a challenge to the international financial system, dominated by the World Bank and the Asian Development Bank (ADB). But the AIIB was to prove that it wasn’t a challenger of the ADB and the World Bank, but more like their new investment companion. The AIIB has a capital of $100 billion, which represents half of the World Bank’s capital ($223 billions) and 2/3 of the Asian Development Bank’s capital ($160 billions). This is one of the reasons that almost all of the AIIB’s investments were made in concert with one of these two financial institutions, even if we think about a slum project in Indonesia, a road project in Tajikistan, a motorway in Pakistan, a port investment in Oman or even the colossal Trans-Anatolian gas pipeline (TANAP) project. Moreover, the partnerships concluded with the ADB and the World Bank, plus those with the European Investment Bank (EIB) and European Bank for Reconstruction and Development (EBRD), give the AIIB the opportunity to avoid being seen as an ostracised institution because of its financial standards (which were in doubt in 2015). To be more trustworthy, the AIIB set up a compliance-and-integrity unit whose goal is to monitor its management and to strengthen its position as a bank prone to respect all financial standards, putting it on a clear and credible path. By letting itself be shaped by western practices and standards, the AIIB proved that it isn’t a challenger to the financial status quo, but a complement to the existent institutions like the ADB or the World Bank. Day by day, the AIIB seems to become a more global institution. If at first, when it was proposed in 2014, it was the embodiment of a new Asian Bank, the wave of expansion in 2015 that brought Great Britain, Germany, France, Italy, Australia and many others transformed the AIIB in a Eurasian Bank. With its newest members from Africa and the Americas, Ethiopia, Sudan, Venezuela, Peru, Canada, to only mention a few, the AIIB declared its intention to become a global bank. From regional to global, the path of the AIIB is a perpetual development of the Chinese idea of being more involved on the international level. From potential rival to partner, the AIIB now seems to start mimicking the role of the World Bank, becoming with each new member a global bank. Although it lacks the power and the solid structure of the World Bank, it seems determined to rewrite the history of the financial system from an Asian perspective. But the enthusiasm of the Chinese stakeholders and the growing calibre of the global AIIB may soon shows its limits, because the AIIB was designed as a regional financial institution. Small and poorer countries from Asia, like Nepal, Tajikistan, Laos, etc., which came first on board with China’s initiative, may realise they can’t make their voices heard as they could in the early days of the AIIB. Although founding members have some extra shares, depending on the number of countries which will join the AIIB in the future, the influence of some members may diminish. Also, some countries, especially the poorer ones which didn’t contribute a big amount of money to the bank’s capital, may no longer attract as many projects as they could in the past. Moreover, with each new membership, the pressure on the AIIB’s budget will grow, because the capital of the bank won’t increase proportionally with the needs of the new members, which tend to be developing countries. To support the thesis of the AIIB as a global bank comes the fact that the bank seems interested to develop projects all around Eurasia. For example, Romania started its negotiations to join the AIIB during the summer of 2016. In order to join, the country must subscribe with a capital of $153 million, which represents 1530 shares. From this amount, Romania will pay $30.6 million in 5 annual tranches and the rest will be paid whenever it will be requested. Compared with other Western countries, Romania will have one of the smallest subscribed amounts of capital, although larger than Portugal, Iceland, Luxembourg and possibly Hungary. According to research conducted by the think-tank to which I am affiliated, RISAP, one of Romania’s main reasons to join the AIIB was the decision of the AIIB leadership to invest in projects from countries outside Asia, as long as these projects have a trans-regional impact. 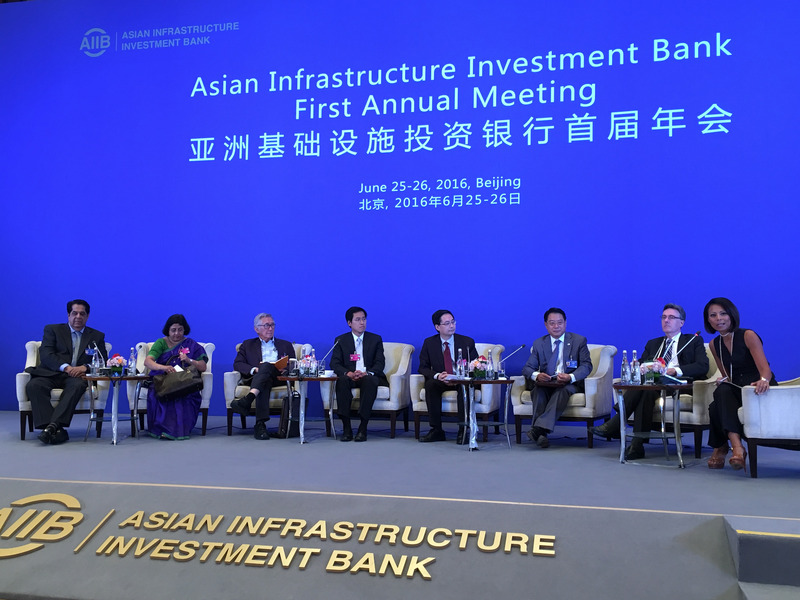 This raises a question: will the AIIB invest in projects in other regions except in Eurasia? The clues seem to point toward such a scenario. What will then happen with the AIIB’s capital: will the bank have enough power to invest in projects all around the world if it only has less than half of the World Bank’s capital? The future will show how its new position as a global bank may change the AIIB’s perspectives, in the same manner as the wave of Western countries joining the AIIB changed its financial standards and depicted the AIIB as a trustworthy bank. The transformation of the AIIB in a global bank will definitely boost the image of China worldwide and it is a sign that China may have the power to rethink the international financial system as an outsider of the Bretton Woods System. Andreea Brînză is Vice President of The Romanian Institute for the Study of the Asia-Pacific (RISAP), where she analyses the geopolitics of China and East Asia. She is also a PhD student, researching the Belt and Road Initiative and is affiliated with the National University of Political Studies and Public Administration. Image Credit: CC by UNIDO/Flickr. Pingback: A New G2: China and the EU?